Consider this an update, or overhaul, of our prior work on gun cleaning. Call me a slacker, but I have this idea that carbines should run just fine without meticulous cleaning. Okay, that’s part philosophy and part lazy. To me, cleaning guns in a necessary evil. So if I have to clean, I want to do it so it’s easier now and next time. Ultimately, I’d like to feel a difference for some instant gratification. 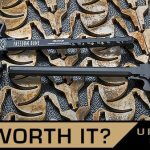 Thanks to retired Green Beret Josh Bendell and some additions to the Rand/Viking Tactics line of gun care products, I now get the instant gratification and all the real benefits of gun cleaning – It’s not so bad after all! Backstory: I was shooting for groups on a F1 Firearms custom AR-15 with a 1-6x Truglo optic at Magnum Shooting Center in Colorado Springs. Bendell was the Range Officer that day. I’m usually eager to share with like-minded shooters and hunters, and it wasn’t long before Bendell was inspecting the rifle. He asked something along the lines of, “Want to smooth it out, make it run nicer?” I had only one hesitation: I’ve been a bit of a Rand products snob for a while and didn’t know what he was going to use on the rifle. I still said yes. I don’t remember what lube he used, but how he used it made an immediate difference I could feel while running the gun. I asked for his contact info. As it turns out, Bendell is a second generation Green Beret, a combat veteran having spent time in both Iraq and Afghanistan. Serving in both the First and Tenth Special Forces Groups, Bendell was medically retired as a Special Forces Weapons Sergeant. He knows guns. Bendell doesn’t clean guns for the therapeutic value or enjoyment. His philosophy is simple: “How long can I make this gun last?” His cleaning process serves that purpose and drives his choice of cleaning products. It makes a difference. Where metal meets metal in your gun, Bendell takes it seriously. Not long after we got acquainted, Bendell bought some Rand products and got excited about them. I sat down with him at Magnum Shooting Center to see if I could learn his cleaning voodoo regimen. There are more gun cleaners and lubes on the market today than ever before. Some might be nothing more than snake oil; some are high tech advances that our grandfathers couldn’t have imagined. Rand/Viking Tactics products fall into the later group. I’ve been using RAND CLP for all the reasons we stated back in 2013. In summary: Bio based nanotechnology that is almost odorless and doesn’t harm polymer, wood or metal. You’ve got to love the simplicity that allows! 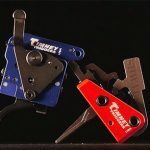 Before the Viking Tactics name got attached to the Rand line, Kyle Lamb noted that the CLP stayed in place better than other products he’d used. Combine that with Bendell’s “How long can I make this gun last?” philosophy, and you realize a lube can only protect parts where it is present. Far too often guns get cleaned, then stored for extended seasons. Gravity pulls the lube away from many points leaving them unprotected. RAND CLP and grease mitigate that. Their CLP was the only product offering Rand had when I first got acquainted with them. Today, they sell other products including H.A.W.G. (Heavy Applications Weapons Grease). Bendell’s philosophy on what product is preferable goes like this: The CLP is used for environmental protection and carbon scoring/build up, the grease is the meat and potatoes that helps the gun run smoothly while decreasing the friction of metal on metal contact. Grease also is used to fill gaps and on seals. Carbon removal has always been a bane to me. A nanotech bio based cleaner, the Bore and Bolt cleaner is designed to penetrate carbon, gunk, etc. getting under it to make removal easier. I like easier. Using Rand Bore and Bolt Cleaner (B&BC), scrub your upper’s interior surfaces with a nylon brush. Use a bore brush to clean up into the locking lugs. Clean your barrel using patches and B&BC. Once clean, apply Rand CLP to the upper. For the best application, move the liquid CLP around using compressed air. This will also blow out excess lube. On a new AR, and maybe yours that has been sitting for a couple of months, you’ll likely hear buffer spring and BCG dragging when you run the charging handle. That’s wear happening, accelerated greatly when you’re pulling the trigger on live rounds. Grease those and not only will you protect the parts you’ll feel the difference immediately. Some might consider it unorthodox to grease the buffer, but it gets slammed by the BCG so why not protect it? Your BCG (Bolt Carrier Group) gets completely disassembled and hit with a heavy coat of Rand Bore and Bolt cleaner. Follow that with a bore brush on the inside of the BCG. Wipe with a dry patch then use compressed air remove any remaining excess cleaner. Catch that excess with a rag. While you’re at it, don’t forget to clean the upper receiver where the BCG rides and where the charging handle rides. Wipe down your charging handle with the Bore and Bolt cleaner. Next you’ll bathe the BCG and bolt in Rand CLP, then set them on end so gravity will pull the CLP down for a complete and even coat. Use compressed air to remove excess CLP. Grease the band around bolt and the inside of the bolt carrier. Reassemble, then spin the bolt inside the carrier. Don’t worry about excess grease, it will collect carbon making the next cleaning easier. Grease your firing pin. Grease the bolt lugs, and anywhere you see discoloration (sign of heavy metal on metal contact). Use B&BC and compressed air to clean your trigger components. If running a standard AR trigger, the pivot and contact points get grease. You’re not making your gun less safe, you’re protecting parts that contact and move. Whether our guns are recreational, hunters, defenders or some combination, we all want them to last a long time and to run reliably. To that end, my time spent learning the whys and hows of Josh Bendell’s cleaning regimen was time well spent. And while some old timers are in love with the strong smell of Hopes cleaner, the Rand products lack of odor is a win by me and makes for much greater domestic tranquility. Apply what we’ve shared here and I’m pretty sure your guns will thank you. Your spouse might even thank you. Agree? Disagree? How do you do it? Tell us in the comments below, no login required! This entry was posted in Special Hunting Weapons & Tactics™ - The Center of Gravity for Tactical and Long Range Hunting and tagged AR-15, AR15, cleaning, Maintenance, Rand CLP, Viking Tactics by Jonathan Owen. Bookmark the permalink. Sounds like I need to get some of this!! Thanks for the article. I’m convinced. Nice article, Jonathon.